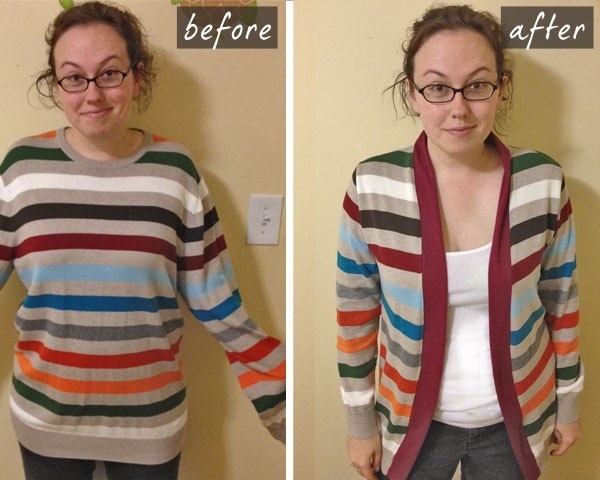 Jane L. favorited How To Convert A Sweater Into A Cardigan 10 Jun 03:32 lucy.w.collard added How To Convert A Sweater Into A Cardigan to Things to make 11 Apr 22:10 Aurelie L. added How To Convert A Sweater Into A Cardigan to Haut/Blouse 14 Mar 10:43... Measure the width of the sweater, divide this number in half, and mark the center of the sweater. With tailor’s chalk and a straightedge, draw a line down the center of the sweater. Take a deep breath and cut the front of the sweater open. 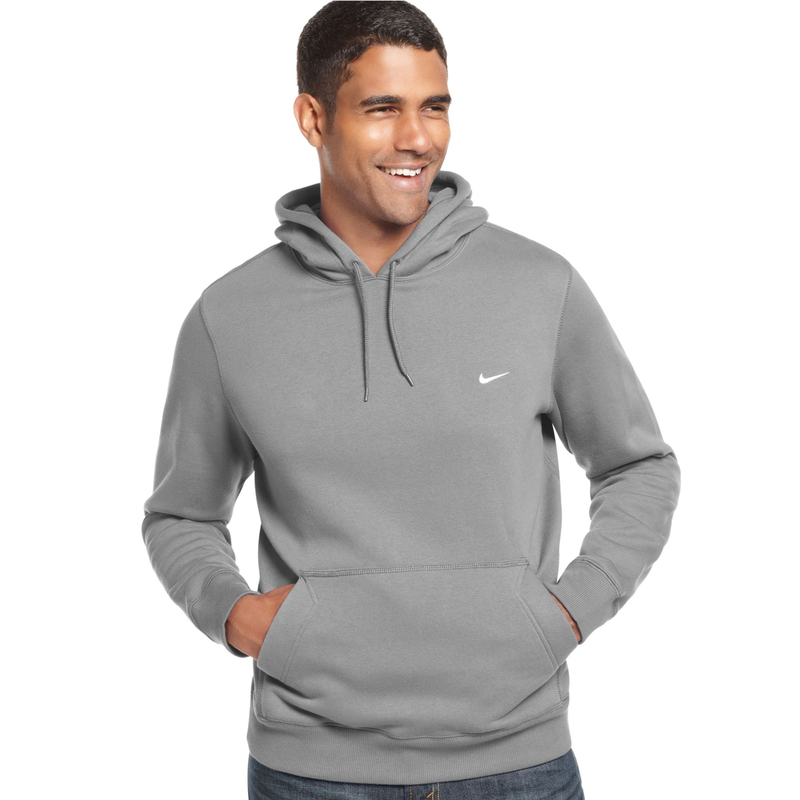 Anyone ever sewn a sweatshirt into a cardigan? Before I started I thought I might want to sew pearl buttons or something on to make it look more like a real cardigan, but nah. I love it just how it is! I love it just how it is! Tagged as: DIY , reuse sweater to cardigan , sewing tutorial how to play minecraft pe 27/03/2010 · Tutorial: Converting a Pullover into a Cardigan Using Fabric Binding When I was growing up in San Francisco we lived near a train track. While walking home with my sister through the tracks, my grandmother found a table, and the two of them carried it back to our house. Converting a Pullover to a Cardigan : Any pullover sweater can be converted into a cardigan, but artistic judgement must be used in deciding whether the design would still look good with a border that splits it up the middle. 25/02/2013 · Change a Pullover into a Cardigan: Part One Last week I saw a link to Susan B. Anderson's video about turning a pullover into a cardigan by steeking, and I could not get over how clever this is! I just had to try it, since I recently found out that you won't die from cutting your knitting when I knit the Bauhaus sweater . 1/05/2013 · Find the center of the sweater by measuring across it. 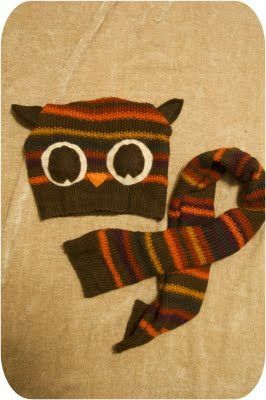 I didn't show it in the picture but you might want to slide something stiff like cardstock or a wide ruler in the sweater so you don't pin the two layers together or cut the back of the sweater. So glad I found this! Thank you! My father asked if I could make his favorite pullover into a cardigan. (His age makes it hard to ‘climb into’ the pullover).